Out of the ice, and into the fire. Just hours after Game of Thrones wrapped Season 7 with a fiery twist, Kit Harington is getting into even more explosive trouble with a first look at The BBC’s new Gunpowder miniseries, chronicling the infamous Guy Fawkes Gunpowder Plot. The BBC knew well to tie a first photo and teaser of the new Kit Harington role to Sunday’s finale, especially as we don’t yet know when Game of Thrones’ final season will premiere. 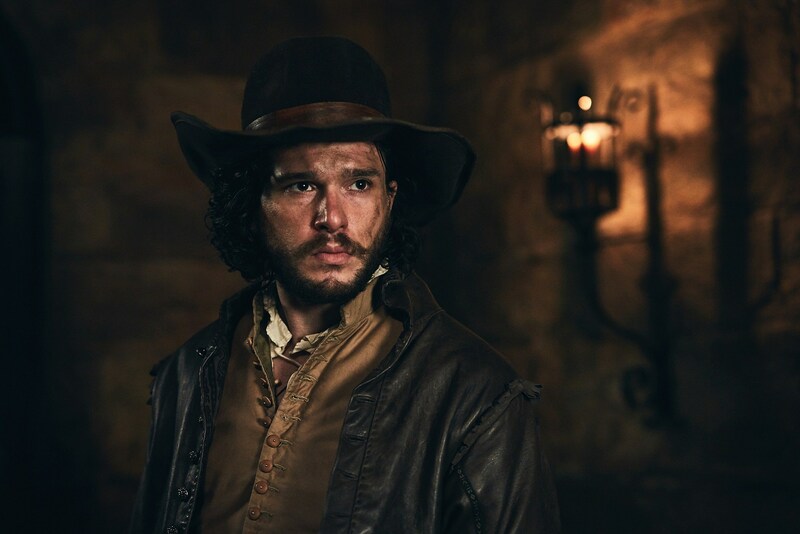 So far as Gunpowder, Harington trades Night Kings for English ones as Robert Catesby, mastermind and committed Warwickshire Catholic at a time when Protestant England persecuted the church’s members relentlessly (Catesby is also Harington’s actual ancestor). Set in 1605, the historical drama is based around British radical Fawkes and a group of provincial English Catholics who attempted to blow up the House of Lords in UK Parliament and kill King James I in order to help restore a Catholic to the crown. The attempted plot, or Gunpowder Plot as its known, was foiled on November 5 when authorities at Westminster Palace found Fawkes guarding the explosives. To this day, Brits celebrate Guy Fawkes Night every year on November 5 with a fireworks display and by burning his effigy on a bonfire. The series was developed by Ronan Bennett, Harington and Daniel West, with Bennett writing and J. Blakeson directing. No premiere was listed for Gunpowder, so stay tuned for the latest.